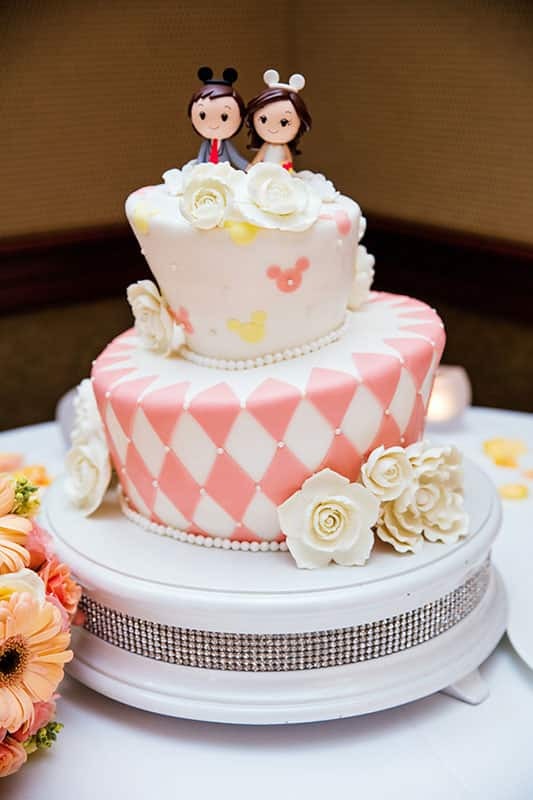 Today is day three of our Disneyland Weddings overview and you're in for a sweet treat! 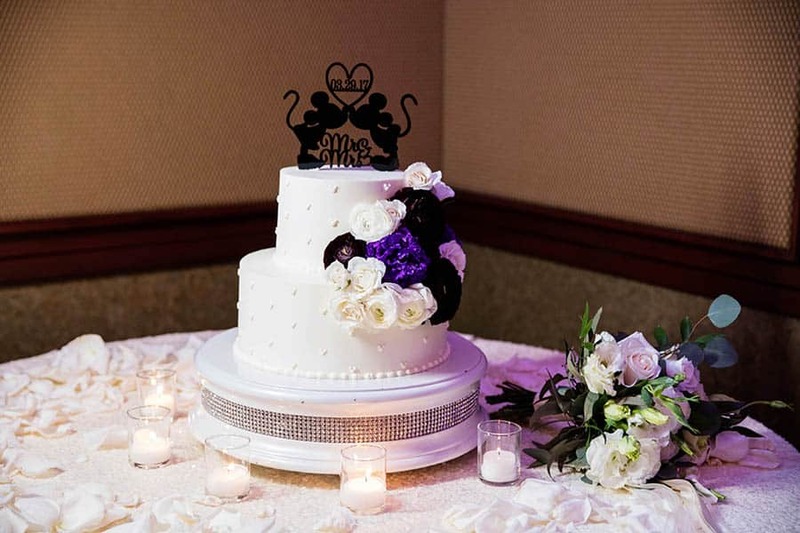 The Escape Collection includes a champagne toast and cake celebration, along with a full three-course meal, following your intimate ceremony. 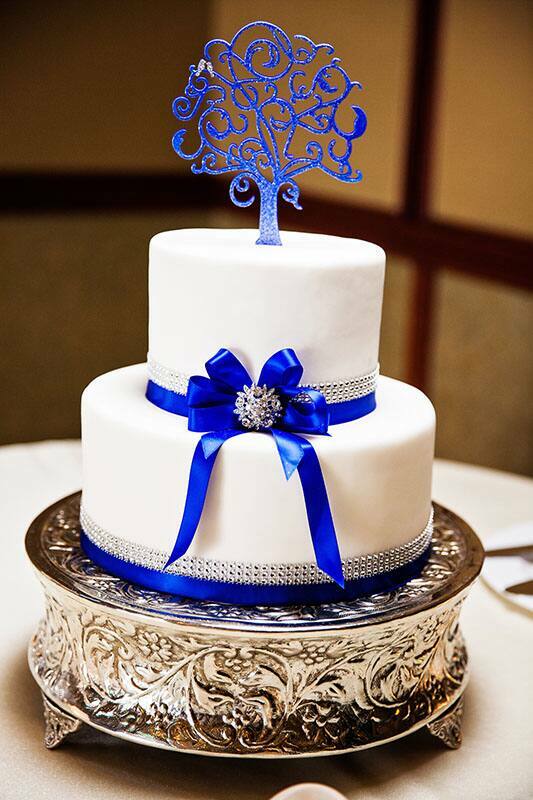 You will have the choice of delightful 2-tiered cakes, featuring simple and elegant design. 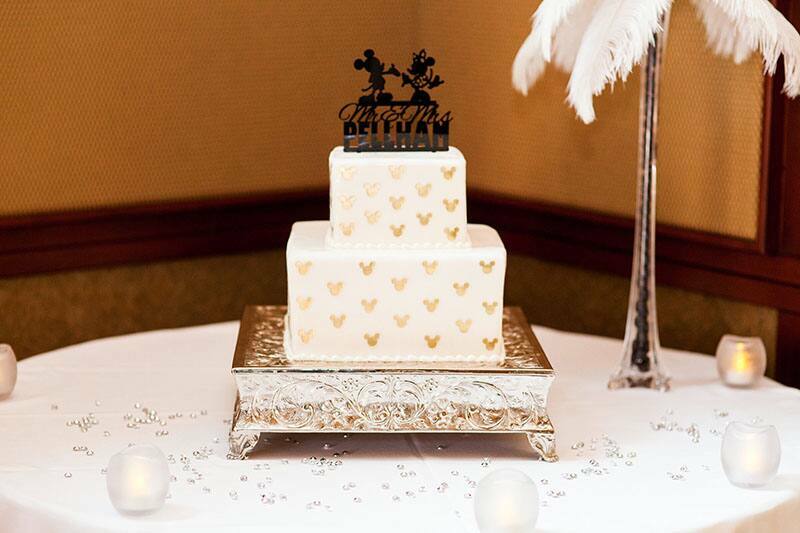 You may choose to add your own personal touch to each, whether you wish to add fresh floral, a personalized topper or a little extra Disney magic. In addition to the beautiful design, there is a selection of flavors, fillings and icing sure to be a hit among your friends and family! Continue to follow our blog and social this week as we look at each collection and share how you can get started planning your own special day!